Registration for the 2019 Masked Bandits Swim and Dive Team is now OPEN! Please access the link below to register your children. All full access and STO members between the ages of 4 and 18 as of June 18th are eligible to join the Swim Team. 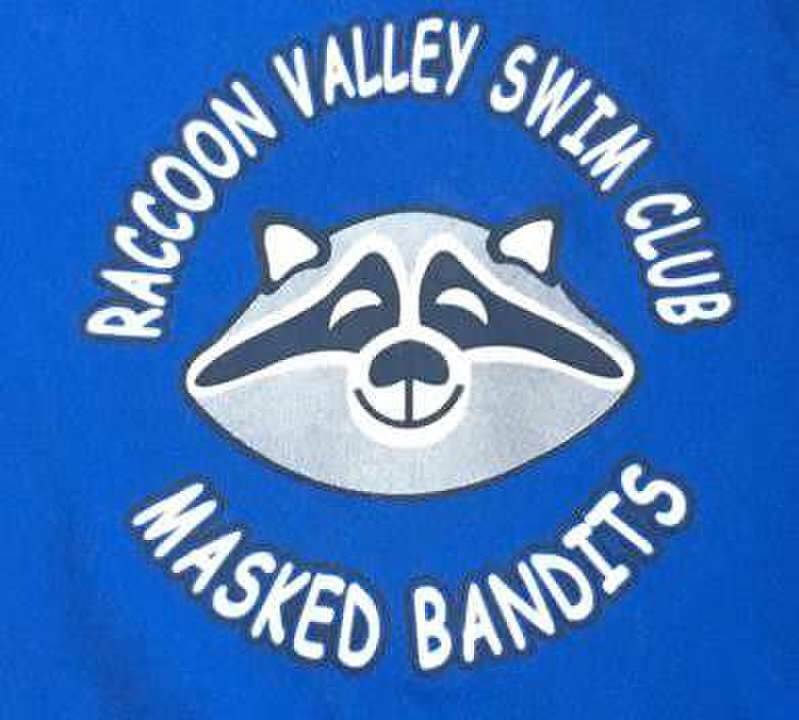 PLEASE NOTE: You must be a Full Access or STO member of Raccoon Valley Swim Club to join the Swim and/or Dive Team. Please see Memberships pages for info on how to join the Club. We welcome kids of all ability levels: we have a kickboarding program for those just learning to swim, a beginner lane for those working to complete a full lap, and a fun but rigorous training program for our more experienced swimmers! 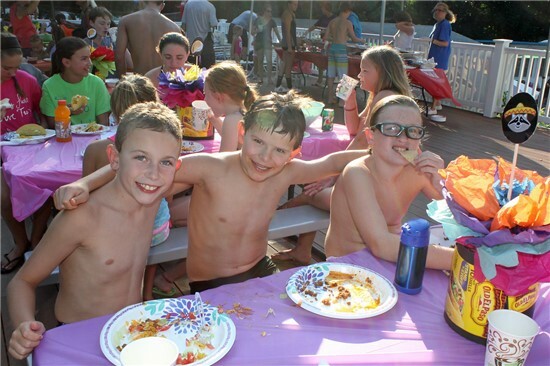 Swim Team is a great way to stay in shape, make new friends, and master the life-long skill of swimming. Swim Team fees for this year are $110 per swimmer with $35 multi-child discount applied after first two swimmers. Dive Team fees are $110 per diver. Given the size of the Dive Team, we are not able to offer a multi-child discount for Dive. Also, please note that this year we are collecting a Bake Table fee of $12.50 per swimmer as part of the registration process, instead of collecting donations for each meet. We expect to have at least 3 Bake Tables this season. Thank you for your cooperation. So... what are you waiting for? Come on out and join us!!! Still not convinced? Here is a link to some cool photos at http://rvsc.smugmug.com. Our esteemed Coach, Karen Tubb, is back for her 17th season with the Masked Bandits! Coach Karen is widely regarded as one of the best swim coaches in South Jersey, and is an integral part of the Masked Bandits family. We are thrilled to have her back again this year! Coach Karen will be joined by her talented assistants, Coach Cassie Bower and Coach Kaylee Horchak . We are also happy to announce the return of Coach Sam Quinette (previously Rottenkamp) to lead our Dive Team!!! Welcome Back, Sam! Dive Practices will start the first week in June and will run along with the Swim Team practices; you can attend dive practice before or after your age group swims. Want to give the swim team a try? Any Full Access Member who may be interested in joining the Swim or Dive Team can participate in afternoon practices as a guest through Friday June 14th Just come to the pool at designated time for your age group with swim suit and goggles! July 13 - Tri Meet @ Haddon Twp. **Dive Meets are on Sunday mornings/afternoons. Schedule TBD. If you have any additional questions please contact us at raccoonvalleyswimteam@gmail.com! See you at the pool!! !